Shoes & Tattoos: Cars, Calories, and Clothes. Leave it to me to purchase a Suzuki and then move to Bryan/College Station less than two years later. “Wha’ Happened?” you ask “Fred Willard from Best in Show” style? No Suzuki dealership exists in B/CS, and when your car is supposedly still under warranty and your transmission arbitrarily chooses to work only now and then, you find yourself desperately seeking Suzuki. So Saturday found B and me cautiously steering the Forenza haphazardly toward Houston while launching sarcastic quips at other cars. I never said that we were nice. I was content, though, to showcase my Fashion Forum Friday item of the week in Houston. Curtis and Rachel rescued us from our carless plight and chauffeured us to The Grotto for a calorie fest and then back to BCS for more calorie consumption at Church Street Barbeque. Sunday, we got down and holy at church, and I became aware of some kind of telepathic fashion memo that must have gone out amongst me and my two friends, Jess and Max. Jess elatedly ran up to me as I scoped out potential church seats and exclaimed that we were both wearing Tiffany blue heels. 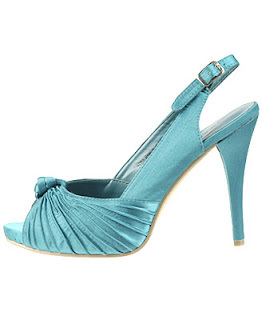 Oh, the endless joys of gorgeous shoes! And to be blessed with friends who partake in that joy! Jesus and Tiffany Blue shoes; what could be better!?! Well, I’ll tell you. Max entered the crowd gloriously modeling…wait for it…a Tiffany blue shirt! The stars had aligned and Christ, Himself, hath most certainly blessed our Sunday attire. More calories awaited at our friends’ (Sam and Sarah) place. Sarah anticipates the arrival of their first baby any moment now, and as she must consume enough nourishment for two, and as we would never wish for her to feel insecure about that, we went ahead and ate more than her. Purely in an altruistic spirit. Church inspires you to be a better person like that. And then followed my weekend’s pièce de résistance: Maroon Weekly’s photo shoot at Northgate Vintage! B and I chatted with Editor in Chief Chris Shepperd, as the photographer, Gabe, compiled artistic shots of NGV’s owner, Ryan Ewing, in the his natural element. My fashion/writing/being all swank and what not-type of elation reached its pinnacle as Ryan offered me even more assignments for Maroon Weekly. Not only shall I cover fashion, but I am free to write about music as well! This is excitingly ideal, as the two are nearly impossible for me to separate! Copious amounts of calories, Matching Tiffany blue shoes and shirts, and more writing assignments than I had hoped for…how can this weekend get any better!?!?! It can’t. It’s over. Monday, the bane of weekend bliss, rears its ugly head along with students who seem to have forgotten that it’s ideal to actually register for fall courses before fall courses commence. As they say about all good things…I was never partial to that saying.